Brighty, Shiny & Beautiful – Bioluminescence Edition. 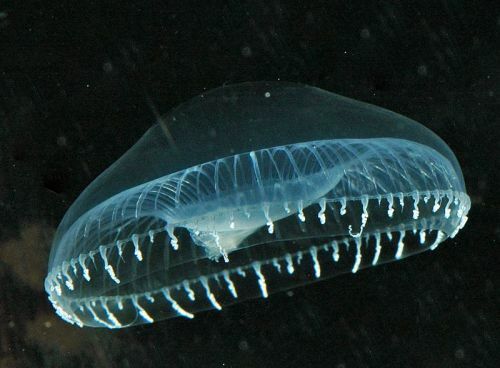 This post will be an introduction to the phenomenon of Bioluminescence. Bioluminescence is the emission of light by living organisms utilizing chemical reactions. The components of a bioluminescent pathway include a luciferin and a luciferase.Luciferin reacts with oxygen to form oxyluciferin, which emits light as a byproduct, luciferase is an enzyme that catalyzes this reaction, with molecules like ATP serving as co-factors. 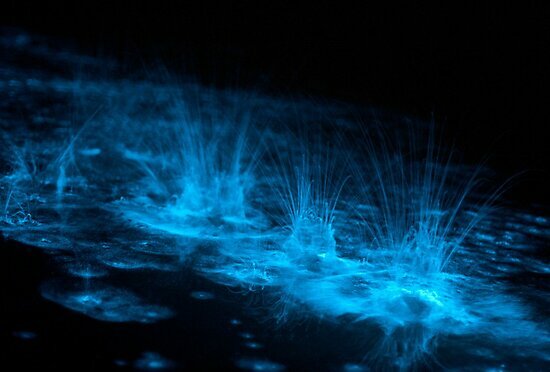 The photograph above is by Phil Hart and can be found here , it shows Noctiluca scintillans bioluminescence in action. The aforementioned image, copyright Y.Kito, is a Japanese Firefly Squid (Watasenia scintillans) , truly scintillating, ey? Also do look around on google, this can be a spectacularly enthralling phenomenon. This entry was posted in Articles by Exploreable (Ankur Chakravarthy), Science Primers. Bookmark the permalink. i love this entry! okay i’m not very science-y, but this blue stuff makes me really happy! i’ve always bugged my friend to find me some blue cells and stuff and he came across this and showed it to me immediately. awesome! !